Feel the thrill of skydiving without jumping out of an airplane. It's true! 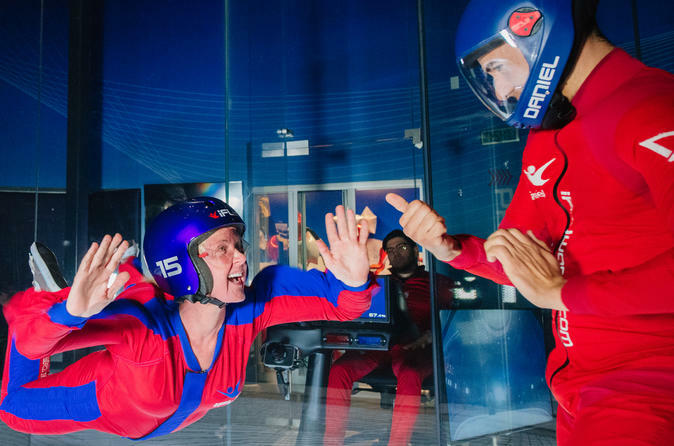 Head to iFLY Naperville in Chicago, a premier indoor skydiving facility powered by a state-of-the-art vertical wind tunnel. After a training session, you'll experience free-fall conditions with the help of an instructor. No experience is necessary, and afterward, you can take home a personalized flight certificate. Arrive at iFLY Naperville in Chicago, and get started by putting on your gear and going through a specialized training session from an expert flight instructor. Special Offer - Book by November 14 and save 28% compared to the local supplier's price for travel on Monday through Thursday! - Book Now!